Scheduled Plumbing Service! Click Here! Welcome to Abbco Plumbing & Drain! "#1 in the #2 business"
Abbco Plumbing & Drain is committed to our customers and that is why we offer Abbco Plumbing Services to Florissant, St. Charles, St. Peters and St. Louis, Missouri. 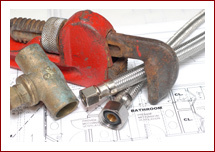 Looking for Scheduled Plumbing Service? Click Here! or Click for Plumbing Services. Serving Florissant, St. Charles, St. Peters, St. Louis County and O'Fallon, Missouri.